Last week I attended Forest Health: State of the State, a biannual conference put on by OSU College of Forestry. A packed agenda covered insects, diseases, fire, drought, invasive species, climate change, and other topics. I always look forward to this meeting as an opportunity to brush up on my knowledge of these issues. The speakers came from various backgrounds, representing the many forest ecosystems and ownership types we have across the state, and the audience was equally diverse. 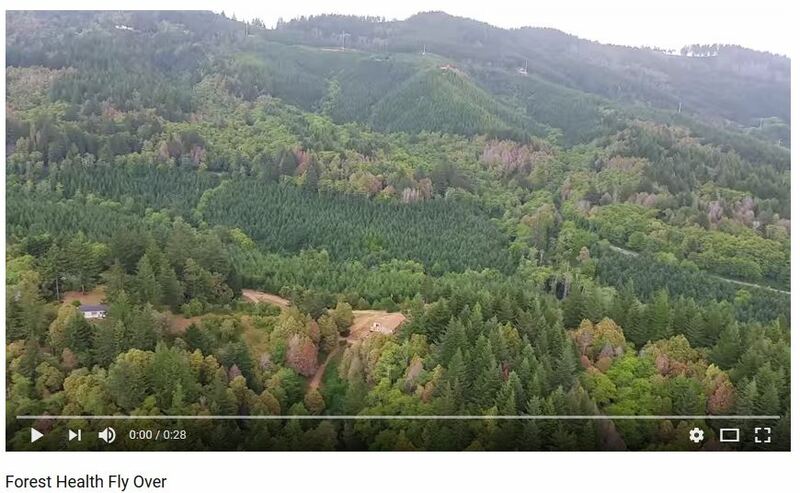 With that in mind, I’ve tried to distill the takeaways from the conference that seem most relevant to small woodland ownerships in northwest Oregon. ODF conducts an annual insect and disease aerial survey. Click on the image to be taken to a short video from the air. Brad Withrow-Robinson, Forestry & Natural Resources Extension Agent, Benton, Linn and Polk Counties. Pretty much every landowner I know has a weed issue. 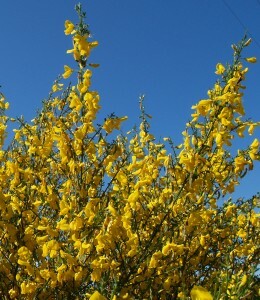 Some are fairly short term and narrow, such as controlling common weeds in a new tree planting. 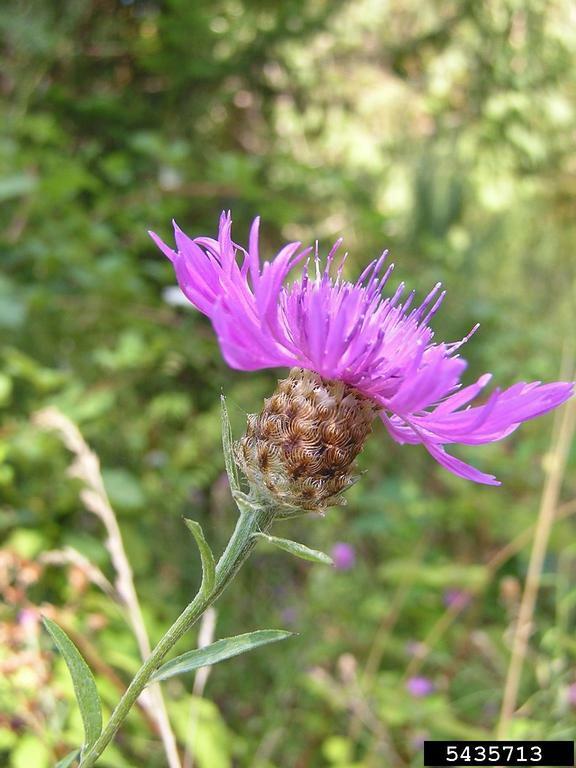 Others are much longer term and less defined, such as keeping invasive species at bay in the woodland, or perhaps encouraging native plants in a meadow or streamside restoration. There are multiple approaches to weed management, including preventing new weed introductions, mechanical or physical control such as mulching or mowing and the use of herbicides. Most people use a mix of two or more of these approaches, with many including herbicides as one of the methods they use. Here are some key resources to help you manage your weed issues. It is important to know the enemy, and this is a good place to start, beginning with the 3-page introduction. 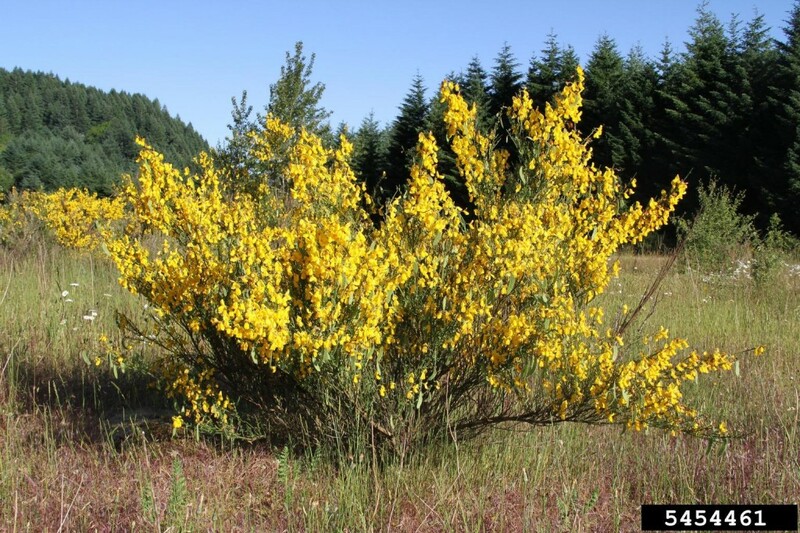 This publication goes on to describe the identifying characteristics, origin, habitat, ecology and management strategies for selected invasive weeds in the Pacific Northwest. This list is not inclusive of all invasive weeds, but focuses on the most dominant or potentially invasive species that plague us. 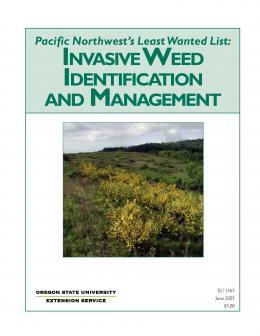 Check PNW Weed Management Handbook for current herbicide recommendations. A useful resource for many types of landowners, the Weed Control Methods Handbook: Tools & Techniques for Use in Natural Areas provides detailed information about weed control techniques including manual and mechanical methods, grazing, prescribed fire, biological control, and herbicides. Check PNW Weed Management Handbook for current herbicide recommendations. Like just about any small woodland, the Matteson Demonstration Forest has its share of invasive weeds. 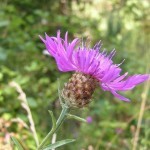 Besides familiar and ubiquitous foes such as Scotch broom and thistles, one of particular concern is knapweed. 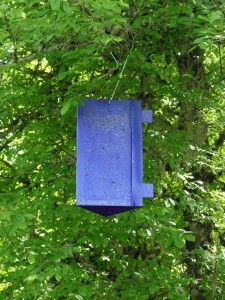 A large purple box hanging in the trees along Airlie Road last year caught my attention at 55 mph. Pulling over I recognized it as a monitoring trap for one of the current invasive species threatening Oregon’s woodlands. Luckily ODF and others are watching out. The emerald ash borer (EAB), an invasive insect from Asia, has killed an estimated 100 million trees and caused more than $3.5 billion dollars’ worth of damage and property value losses in the eastern U.S. since its arrival in the 1990’s. All 16 North American ash species are threatened with extinction, including our native Oregon ash. The furthest west population yet detected is in Boulder, Colorado – a day’s drive or so from Oregon in a motor home. Originally introduced to the U.S. via wood packaging material, it is now spread across the continent in infested firewood. As tree planting season winds down and the weather warms, we are already starting to see buds popping on spring’s earliest bloomers. Soon the spring explosion will be in full force. 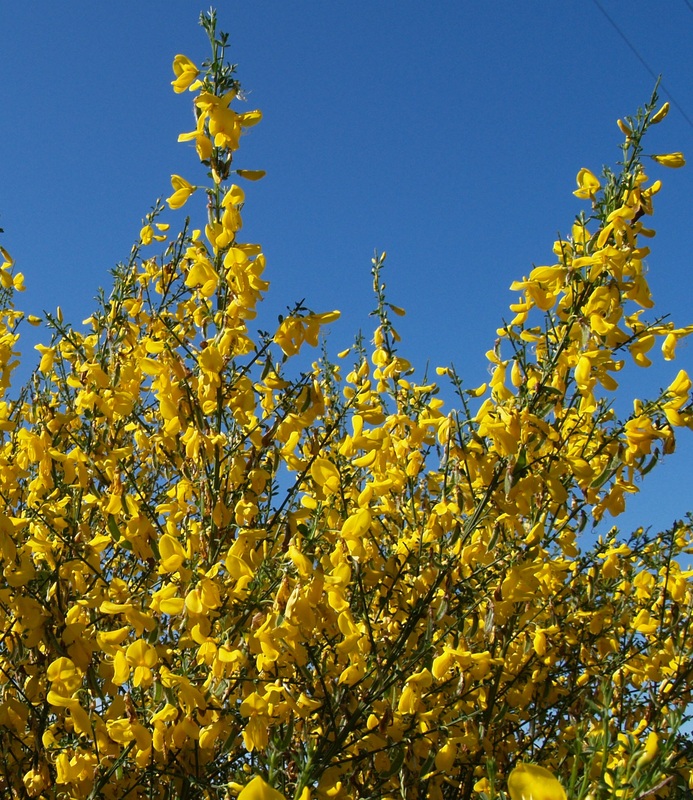 It won’t be long before the hillsides are brilliant yellow – and not with daffodils. In recent entries in this series on the basics of herbicide use in weed control, I have reviewed how some foliar herbicides work, and the relationship between the plant’s physiology and the herbicides’ behavior. 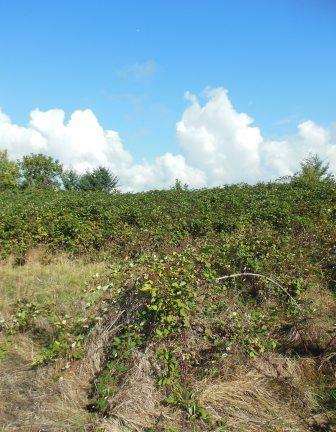 Now I want to illustrate how that that information translates to what gets done in the woods, looking at controlling blackberries, a frequent target of foliar herbicides. In previous installments of this series on the basics of herbicide use in weed control, I distinguished between foliar and soil active herbicides, describing foliar herbicides as those applied to the leaves or stems of plants to be absorbed and carried throughout the plant to affect control. In the previous post I began discussing foliar herbicides in more detail with an overview of glyphosate. Posted in forest management, Vegetation management. In my previous installment of this series on the basics of herbicide use in weed control, I distinguished between foliar and soil active herbicides. In this post I begin discussing foliar herbicides in more detail. Note: The attention given to herbicides in this series does not indicate an advocacy for their use but an acknowledgement that using herbicides presents some unique risks, and that landowners and managers need to know enough about them to make informed decisions on their use. Weed control is a top of mind topic now for many landowners. Following this spring’s strong log market, a lot of folks will be reforesting a harvest unit. Others may be planting a field of Christmas trees, or a swath of trees and shrubs as a restoration project to improve habitat conditions. And it seems everyone is struggling to control one invasive weed or another on the property. While a number of approaches and strategies (including mowing, pulling and mulching) can and are used in managing weeds, many people will use herbicides as at least part of their approach. This is no surprise given their demonstrated effectiveness and efficiency. But not all users are well-versed in vegetation management, or the science behind it, so some review of herbicides seems to be in order. The attention given to herbicides in this and later articles does not indicate an advocacy for their use but an acknowledgement that using herbicides presents some unique risks, and that landowners and managers need to know enough about them to make informed decisions on their use. In Part 1, I reflected on whole-watershed-sized forest science experiments that have informed present-day management practices and understanding of water cycling through forests. 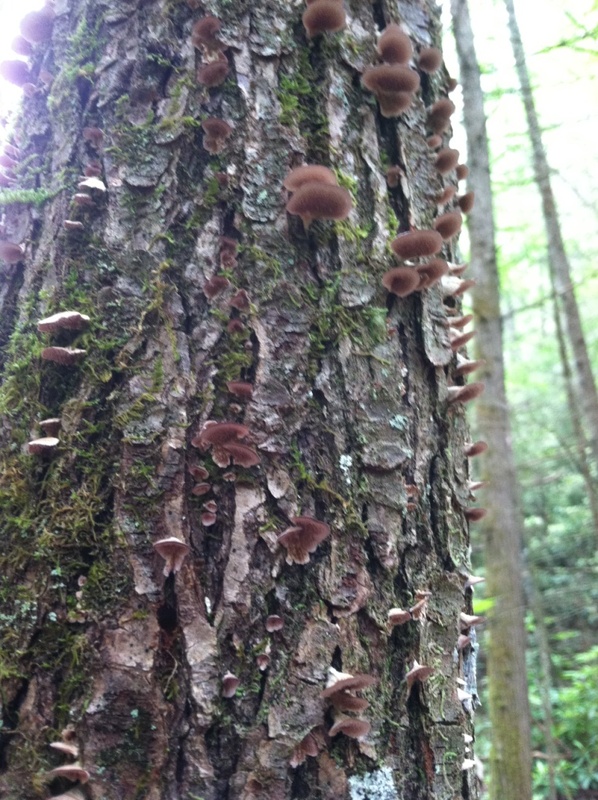 But what happens when a factor beyond our control changes the forest ecosystem, creating a quasi-experiment of its own? That’s what is happening right now in the southeast U.S. due to an aggressive non-native insect. Traveling through the hills of North Carolina, it was hard not to see the impact of the hemlock woolly adelgid. This miniscule leafsucking insect came from Asia and was first detected at the Coweeta Hydrologic Laboratory about 10 years ago. 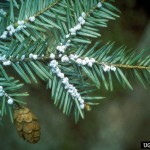 Because the hemlock woolly adelgid has no natural predators here in the U.S. and because eastern hemlocks have low natural resistance to it, it is pretty much sucking its way through the eastern hemlock range. 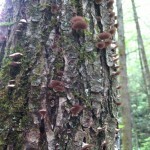 Nearly all the eastern hemlocks I saw on my trip were either dead or dying. For the record, we have hemlock woolly adelgids here in Oregon also, but they don’t cause much harm to Oregon’s two native hemlock species, western hemlock and mountain hemlock. The scientist who led our tour at Coweeta described why, tossing around fancy terms I haven’t uttered much since graduate school such as stylet, petiole and parenchyma. Basically what it boils down to is that the insects cannot penetrate the leaf structure of our west coast hemlock species very easily. 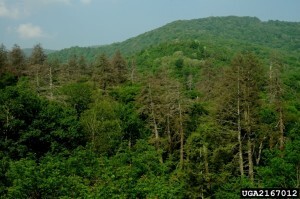 But back east, the hemlock woolly adelgid is leading to the loss of an entire component of the forest ecosystem throughout the Appalachian region. 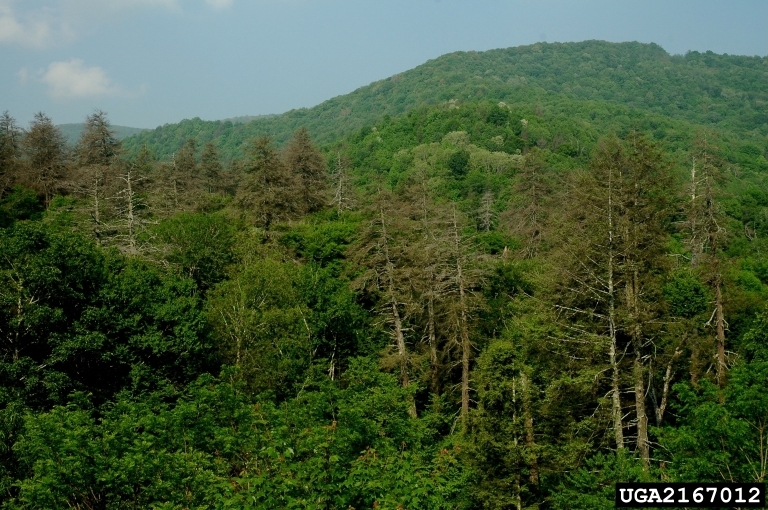 What is the impact when a tree species is lost from the landscape? Many scientists are trying to answer that question, looking at everything from soil chemistry to aquatic habitat to understory species composition. 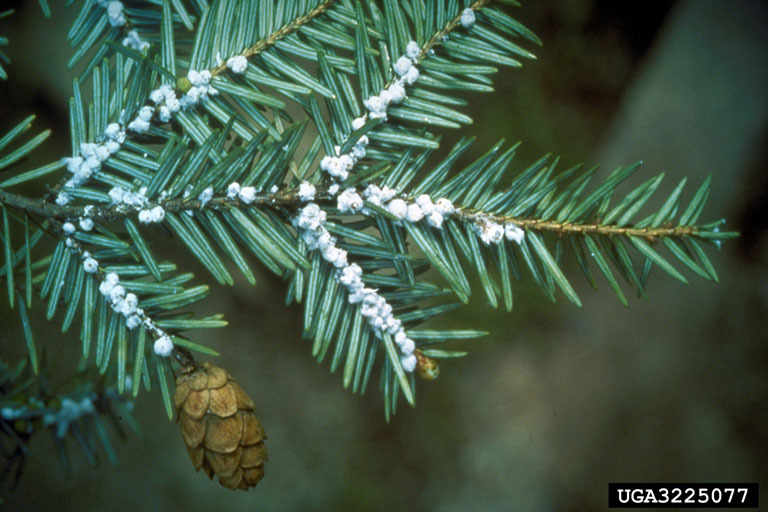 Unfortunately the hemlock woolly adelgid is not the only non-native insect to create such widespread impact. While on a family trip to Wisconsin last summer, I heard a lot about the emerald ash borer, another invader from Asia which is killing ash trees throughout the midwest. Unlike the hemlock woolly adelgid, the emerald ash borer hasn’t shown up on the west coast yet (that we know of). 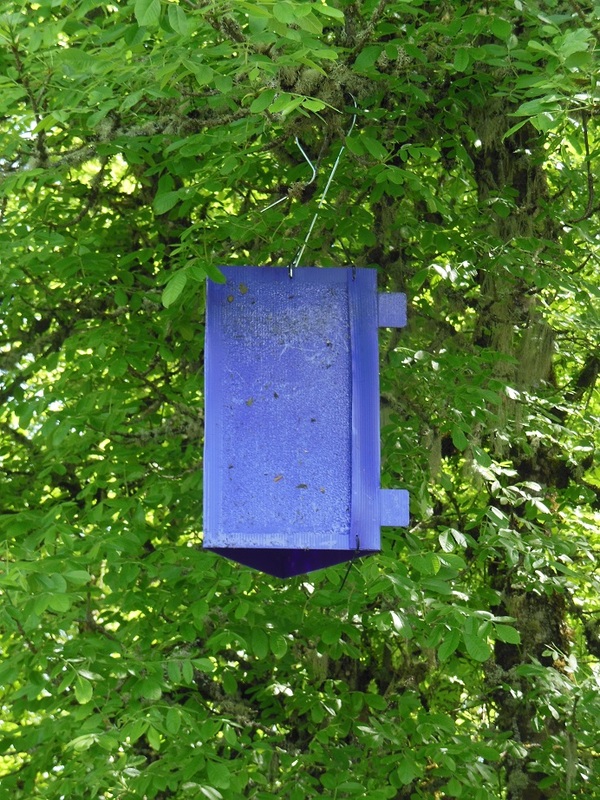 If it arrived, would it wipe out our Oregon ash trees? I hope we don’t have to find out.